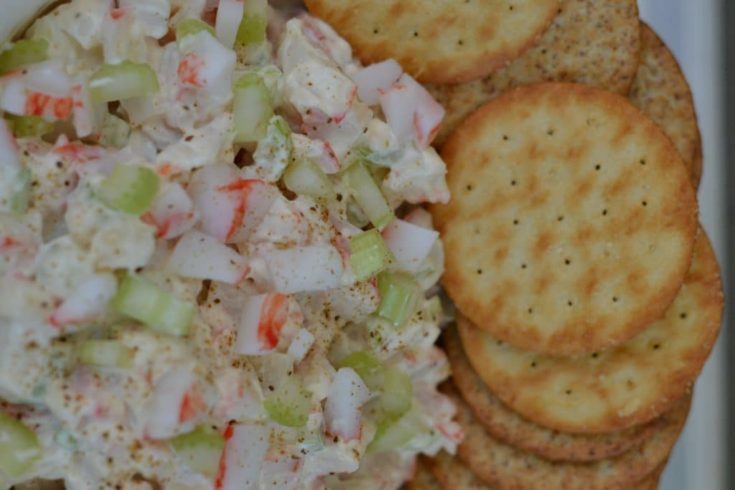 Being able to whip up this delicious crab salad in a jiffy makes it a winner every time. With only 4 ingredients this could not be any easier. Impromptu porch parties are always welcome at my house. I have waited so many years to finally have a porch that I welcome any and all visitors. There is nothing better than sitting in a rocking chair enjoying some fresh lemonade, delicious treats and great company. I make sure I have most ingredients on hand so that I can make a quick and easy dish to impress my guests. My number one staple is Dare Crackers. 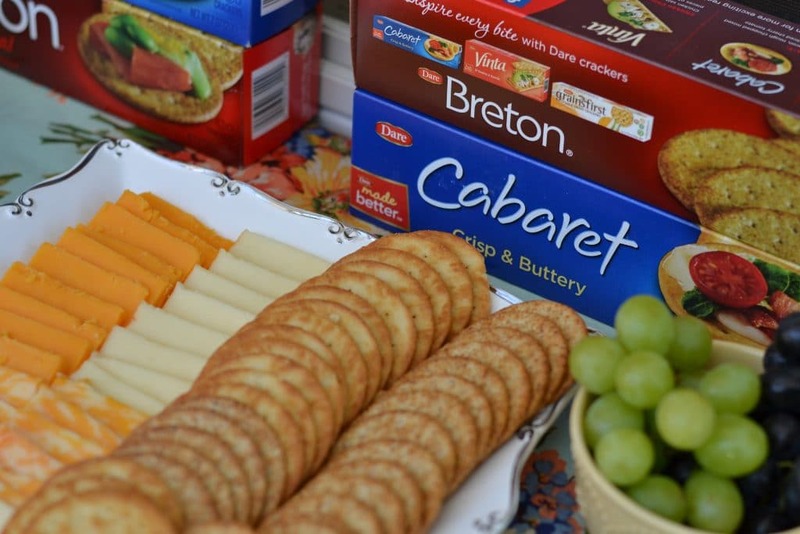 Whether prepping for an extravagant party or an impromptu get-together, Dare’s variety of crisp crackers are sure to make each bite better. I must admit my porch has become a big hit with my friends and family as well. I suspect it has something to do with the delicious treats that are served on my porch but I would like to think it has something to do with my sparkling personality. It probably is a close tie between the treats and my personality. Either way I am thrilled to have an impromptu guest to enjoy the breeze with and give me a reason to break out some Dare crackers. 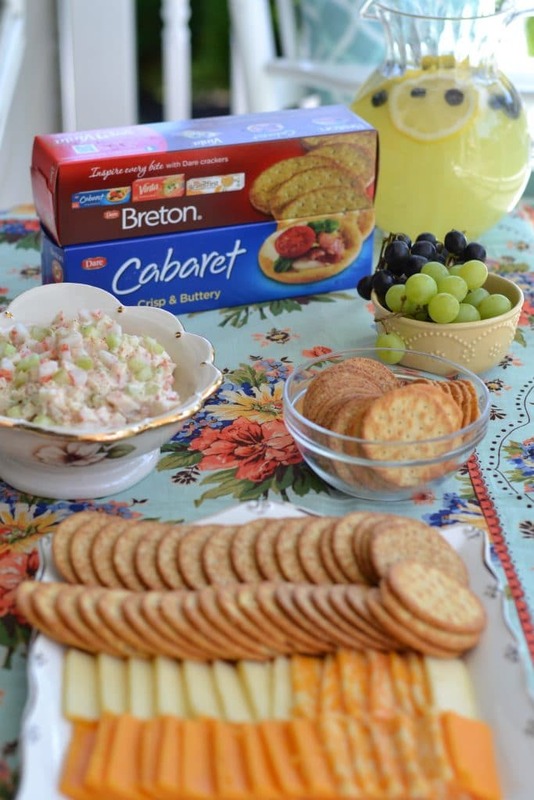 Dare’s extensive cracker varieties offer lite-bite dining options that make entertaining a bit better. 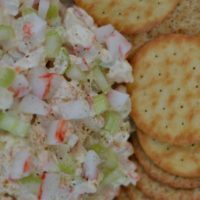 Dare’s complete collection of mouth-watering crackers are loaded with crunch and packed with flavor to make inventive summer canapés better. My biggest dilemma is picking which crackers to serve. Being the expert problem solver that I am, I served both. Because the truth is every Dare cracker is my favorite. I dare to bet, every one will be your favorite too. This sweet summer day I decided to treat my dear friend to a delicious crab salad. 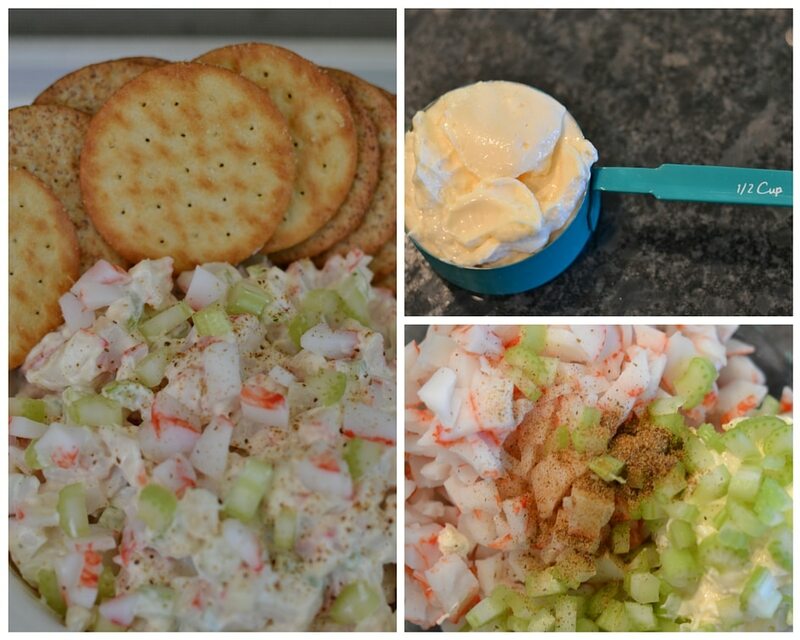 Crab salad has been a long time favorite of mine and I especially love its simple ingredients. Being able to whip it up in a jiffy and enjoy more time with my guests on my porch makes it a winner every time. With only 4 ingredients this could not be any easier. Cut crab into small bite sized pieces. Cut celery into small bite sized pieces. Mix all ingredients into a beautiful serving bowl and get out on that porch! Refrigerate leftovers for a delicious late night snack. One of my favorite snacks. It was delicious.